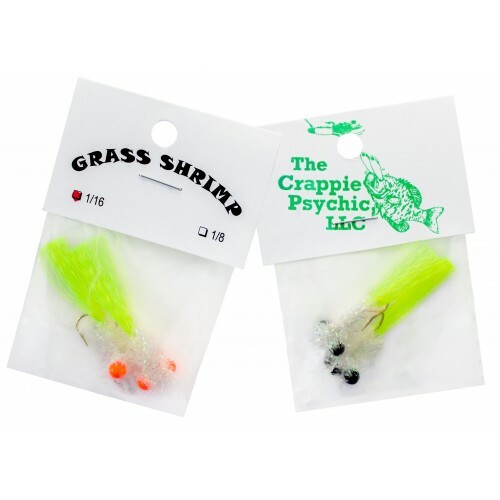 Our expertly-tied Grass Shrimp Jigs, paired with our Crappie Trailers and Crappie Ammo, become a deadly combination for catching Slab Crappie, Bream, Speckled Trout, and more. 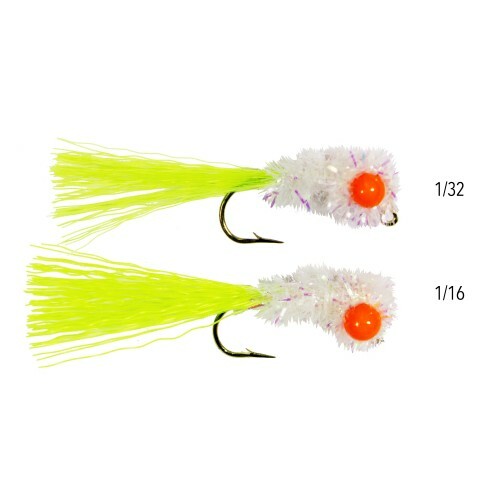 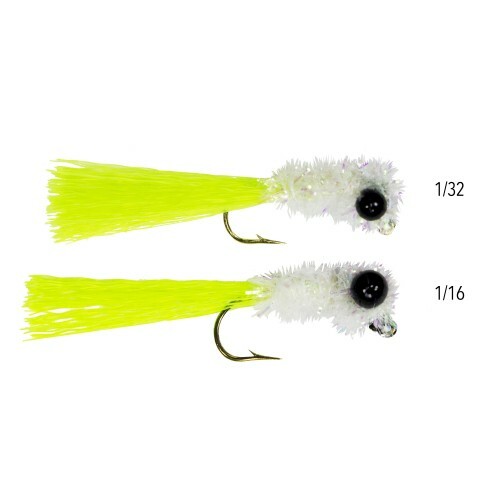 Grass Shrimp Jigs come 2 to a pack. 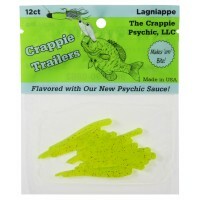 Available in solid white with black or orange eyes and white body with chartreuse tail with black or orange eyes. 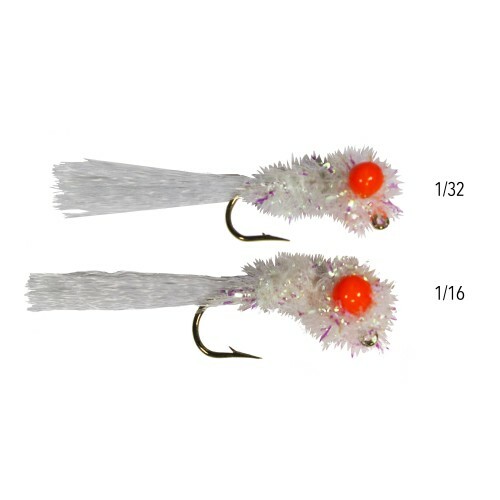 Available in two popular sizes, 1/32 and 1/16. 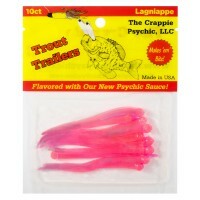 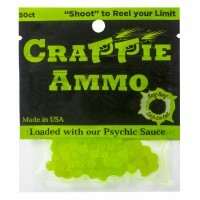 Our Crappie Ammo come 50 to a pack and are made from super soft, ultra-durable plastic and are serio..